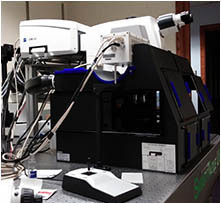 Upright laser scanning confocal microscope with multiphoton (NLO) laser This confocal is on a fixed stage upright microscope. 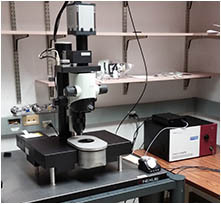 With the Fast Airyscan Module this microscope can now scan images at high speed, comparable to that of a spinning disc confocal. 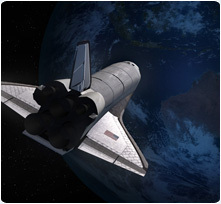 The Airyscan module allows for super-resolution microscopy and offers a superior signal to noise ratio compared to a normal confocal. 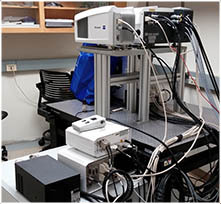 This microscope has the multi-channel QUASAR detector for spectral imaging. The multiphoton/two-photon lasers (MP, a category of nonlinear optics, NLO) allow for deeper imaging of tissues. 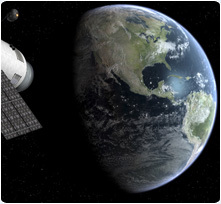 The tiling function in the Zen Black software and the motorized stage allows one to collect multiple images across a large field of view using a high magnification objective. 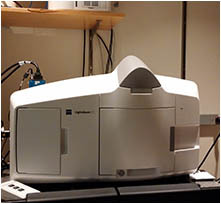 The black cage incubator allows for very light sensitive applications such as two-photon imaging using the NDD detectors and Fluorescence Correlation Spectroscopy (FCS). The incubation chamber currently only regulates temperature. The Bioptechs heated insert allows for rapid yet accurate changes in temperature, its Series 4 controller was custom modified to go from ambient to 50 degree in 40 seconds, with a 2 degree overshoot. 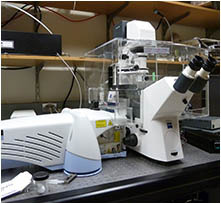 This microscope includes a special 20x objective (detailed below) specifically for imaging specimens cleared using the CLARITY protocol. 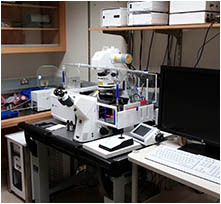 This microscope was installed in March of 2016 with the Airyscan module installed a month later. The Fast Airyscan upgrade was done in the fall of 2016. Location: Beckman Institute Basement Room B133B. 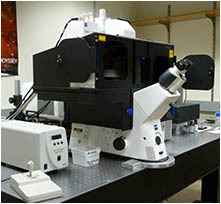 • This upright microscope has the LSM 880 Scanhead with 32 channel GaAsP spectral PMT + 2 MA-PMTs. 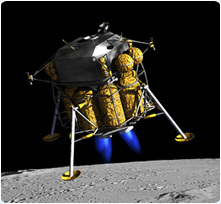 BiG.2 module with 2 GaAsP NDDs and 1 detector for transmitted light. • Fast Airyscan Super-resolution module with it’s own GaAsP detector array. • 7 Laser lines: 3 from Argon and 4 solid state lasers. • Motorized X,Y stage and Z focus (Prior Stage). • Incubation chamber only regulates temperature. 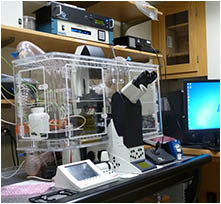 • Bioptechs Delta T dish controller with custom modified series 4 controller. 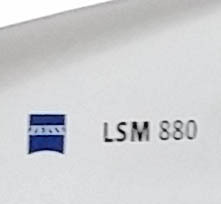 • Objective LSFM Clearing 20x/1.0 Corr M32, 85mm, nd=1.45; Parfocal length 85mm, overall length 105mm. (WD=5.6mm) VIS-NIR; Correction collar for compensation of spherical aberrations. 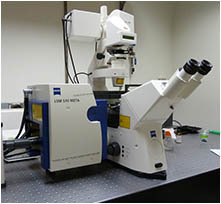 Technical Specifications: Scope: Zeiss Upright Axio Examiner Fixed stage microscope with Prior motorized stage.